But for the most part, I am usually very pleased with the choices from everyone and I love our tradition. The first ornament is Abram's. 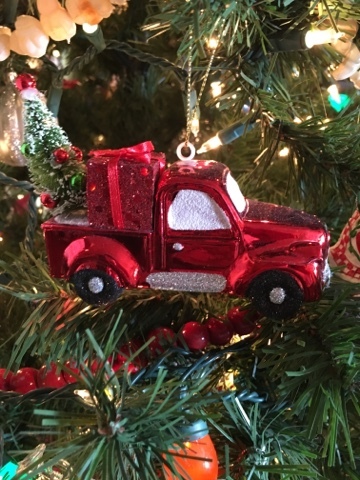 A red truck with a red present, and a Christmas tree. I think it is SO cute. It's probably one of my favorite ornaments right now. And almost every single year he picks a very RED ornament. 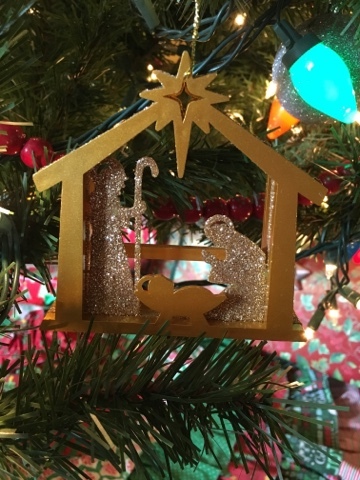 Shannon's ornament is the manger scene. I will admit, it wasn't a color choice that I was crazy about, but it looks really pretty on the tree since our tree has so many varieties of color and shapes. 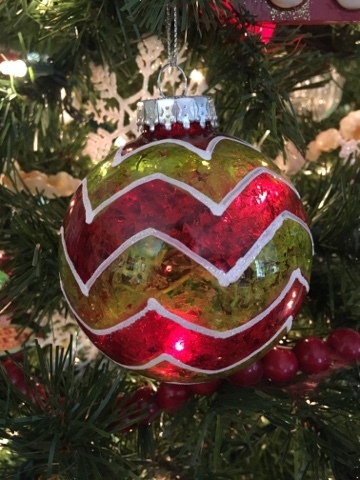 The chevron striped ornament is Cameo's. This one is a bit unusual for her, she seems to choose a reindeer of some sorts most years... but I really like this ornament. Cute choice! 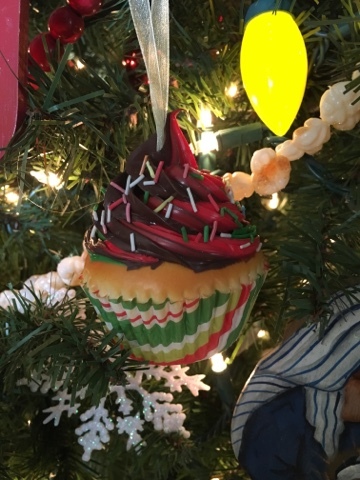 Carlie's ornament is the cupcake. Which I think is totally adorable. Carlie almost always picks the most glittered ornament she can find... but when she found this cupcake at Eddie's earlier this season she was crazy about it and decided to stray from the glitter love and go for the cupcake. She loves texture too, and this is really soft and squishy and that appealed to her also. 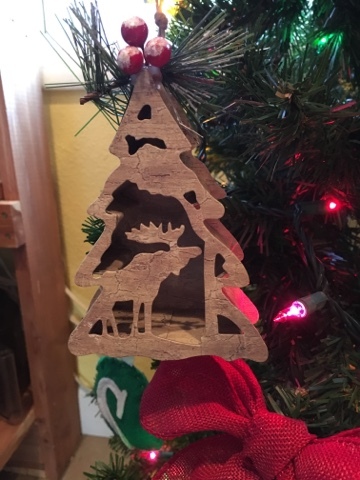 Eli chose a more primitive looking ornament and I really like it. A big elk inside a shadowbox Christmas tree. It looks like wood, but it is super light. We put his and my ornaments on the "Country Kitchen" Christmas tree. I'll show some pics of the whole thing a little later. And here's mine. 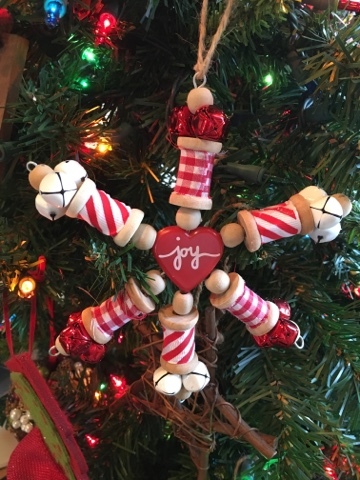 Wooden yarn spools, gingham, jingly bells, and joy all shaped in a snowflake?!?! Love this ornament! It was so cute. I was tickled when I saw this one. So there you go... so many varieties and so many personalities.. but all one family and I love them all. Have a wonderful day, friends!!! ONE WEEK til THANKSGIVING!!! YAY!!!!! !